For more than a decade, Florida has avoided catastrophic hurricanes. Catastrophic storms like Wilma and Charley, the kind that rip along our peninsula and leave a path of destruction, disaster and sometimes, even death. But in early October, we watched as forecaster’s predicted Florida in the path of a dangerous Category 3 storm, Hurricane Matthew. At the time, the National Hurricane Center projected Matthew as a potentially historic disaster for much of Florida’s east coast. 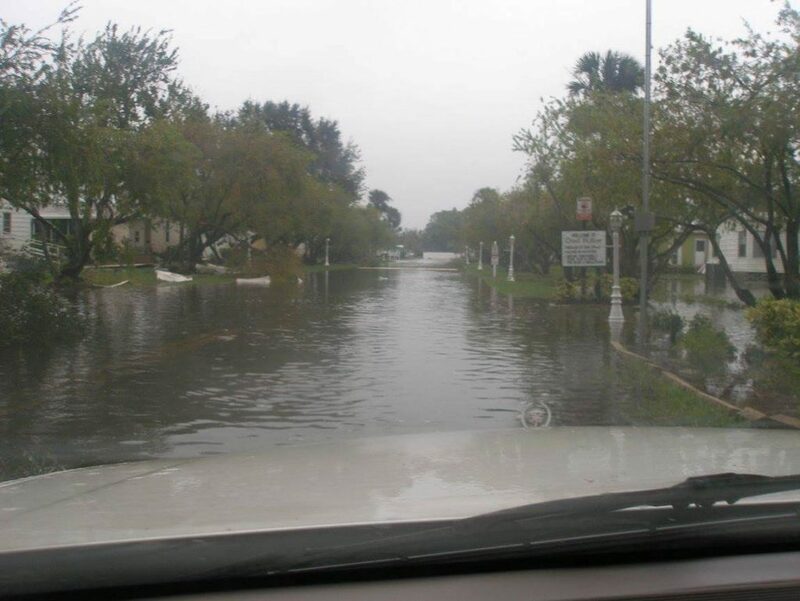 At Newby Management, our team was on high alert with several of our communities in the storm’s direct path. With experience in previous hurricanes, we activated the Newby Emergency Action Team (NEAT). 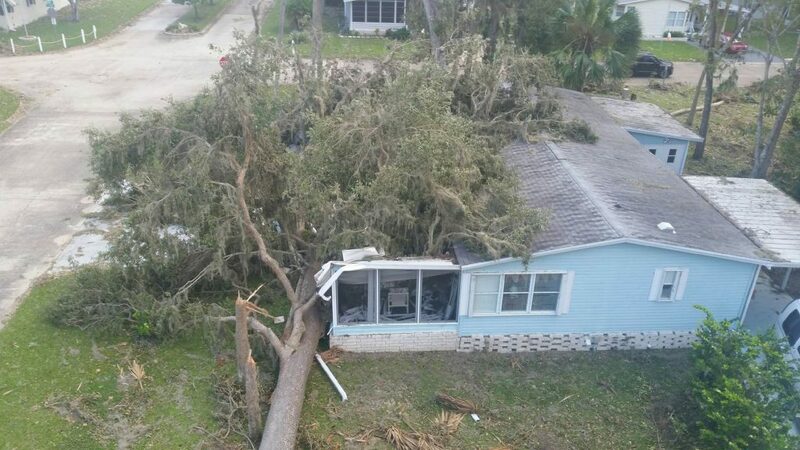 In August 2004, Hurricane Charley tore through Southwest Florida and severely damaged a Newby Management community. From that experience, the team created NEAT to respond to natural disasters that may occur in Newby communities including hurricanes, fires, tornadoes, flooding and terrorism. Despite predictions, Hurricane Matthew never made direct landfall in Florida. Instead, the harsh outer bands of the storm licked the state, causing widespread flooding, damage and power outages across the state, leaving 5 people dead. In our communities, although there were reports of some significant damage, we lost no lives and no one was injured. NEAT responded before, during and after the storm to help keep residents safe and get their lives back on track quickly. Over the past 11 years, the NEAT team has been deployed 14 times to assist our communities across Florida. While NEAT does not replace state or federal resources like Red Cross, we do understand that during times of natural disaster, these agencies can get overwhelmed. That’s where NEAT steps in. Our team of trained volunteers is able to provide resources and organization until the appropriate agencies can take over. • Corporate team members including the president, vice president, CEO and regional managers began reviewing NEAT documentation pertaining to storm preparation in the days leading up to Hurricane Matthew. • Regional managers at the corporate office called their community managers to review their preparations and storm procedures. • Based on Hurricane Matthew’s projected path, 2 NEAT teams were formed. One was set to deploy to Sandhill Shores in Fort Pierce, and the other was set to deploy to the east coast, where Newby Management has three communities. These two areas were projected to get the worst of the storm. • The corporate office continued to monitor the path of Hurricane Matthew to ensure the proper personnel and resources where in place. • Team members worked to ensure the 2 NEAT trailers were stocked and ready. These 6 x 12 trailers hold everything from generators and air compressors to bug spray and gloves. • Community managers were instructed to board up clubhouses, clear debris and ensure their community was prepared to handle strong winds and potential flooding. • Hurricane Matthew hit on Friday October 7, 2016. Although the storm did not directly hit the state, the east coast sustained strong winds and some serious damage. • After receiving reports from the on-site NEAT teams at several communities, the corporate team made the decision to deploy both stocked NEAT trailers to the east coast, where two communities needed immediate attention. • Saturday and Sunday the NEAT team deployed to the communities. • Saturday morning, the team made a preliminary assessment of all affected communities. 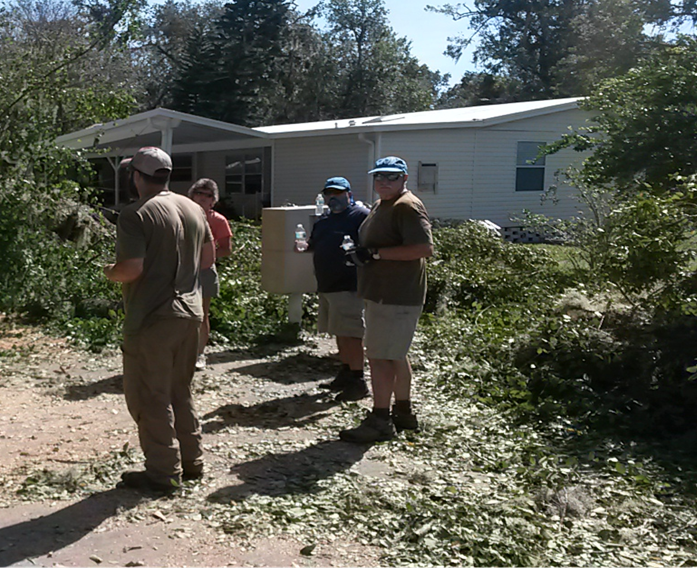 • 3 NEAT team volunteers went to Highland Country Estates in Debary to help with moderate clean-up there. The NEAT trailer also made a stop at this community to drop of necessary supplies. • The rest of the NEAT team met at Magnolia Village to prioritize response activities. Teams were then split up between the 3 communities to begin work. • Teams worked to clear roadways and clean up twisted metal. • On Sunday, 2 regional managers and Newby Management’s president made final preparations for the second team of NEAT volunteers to finish the initial relief efforts on Monday. Although, full clean up and recovery will take weeks. “I am always amazed at how in the face of tragedy people will pull together to accomplish difficult tasks, said Barry Campbell, Newby Management Regional Manager. “The way our company personnel responded with positive attitudes, ready to work, focused on serving and preserving property is what made this response so successful. Training and planning helped, solid leadership did its part, but the aforementioned attitudes of service made it a successful “team” response. Learn more about NEAT and Newby Management’s response to natural disasters. 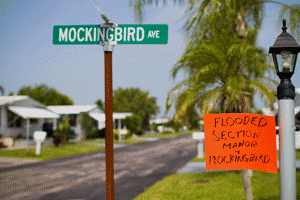 How Do You Handle Natural Disasters in Your Manufactured Home Community? If you’re in the manufactured home industry in Florida, you know how dangerous hurricanes and other natural disasters can be. What plan of action do you have in place if one strikes? In August 2004, Hurricane Charley ripped through Southwest Florida and damaged a Newby Management community. It was more than a natural disaster to our team; it was a learning lesson that turned into a staple of our company. By 2005, our team developed the Newby Emergency Action Team or NEAT. This is a first response team to check on resident safety and property damage after a disaster like weather, fire, flood, terrorism, and violence. 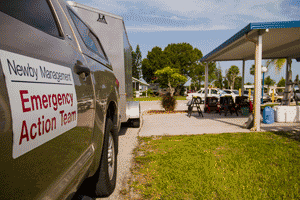 Over the past 11 years, the NEAT team has been deployed 14 times to assist our communities across Florida. A mock drill at Sandhill Shores in Fort Pierce. times of natural disaster, these agencies can get overwhelmed. That’s where NEAT steps in. Our team of trained volunteers is able to provide resources and organization until the appropriate agencies can take over. Our Response Teams are comprised of the corporate office team, managers, team members, residents from non-impacted communities, family, and friends. The immediate action of the response teams is to be a lifeline to the outside world, clear away debris, and make temporary repairs to homes. NEAT consists of eight teams: Security, Sanitation, Damage Assessment, Damage Repair, Kitchen, Tire Repair, Debris Cleanup and the Information Table. NEAT has two fully stocked emergency trailers. 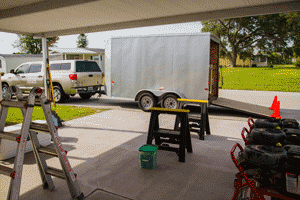 These 6’ X 12’ enclosed trailers are stocked with supplies and tools that make the recovery period easier. They hold everything from generators and air compressors to bug spray and gloves. Newby Management hosts training classes every other year for our managers, board members, and others who wish to participate. Learn more about how one of our manufactured home communities hosted a mock hurricane drill. When a disaster strikes, we deploy an Incident Commander from our corporate office who will receive updates from the community manager and ensure the community is prepared for the hurricane. 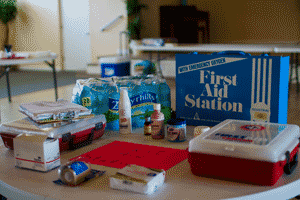 Examples of Supplies Needed After a Hurricane. the hurricane, an Incident Commander is appointed onsite, which is usually the community manager, until one of our corporate IC’s can take over. Team members giving CPR to a dummy during a mock drill. main point of contact for the chairmen of the 8 committees, and records damage by lot number as reported by the Damage Assessment team. When disaster strikes, our team is prepared to help our communities, residents and team members recover as quickly as possible. It’s a daunting task, but it’s one that has to be considered and planned for in manufactured home communities. What’s your plan? To learn more about NEAT and how Newby Management handles natural disasters in their manufactured home communities, please contact us at info@newbymanagement.com.